Respect, Courtesy, Integrity, Perseverance, Self Control, Indomitable Spirit. We help to instil a confidence and inner strength in our students for their oncoming challenges of modern day life. We teach mixed age classes with students from the age of 5 upwards, so now is a great time to start a family activity and join our Taekwon-do lessons. We will teach you how to fight and defend yourself, using both hands and feet, and the training will make you stronger, fitter and more confident. It’s never too late to learn a martial art, we teach the young and not so young, so bring the children and we’ll teach you all at the same time! Our students don’t just come from Beccles, they come from all over the region to learn our martial art, Norwich, Lowestoft, Loddon, Southwold, Great Yarmouth, Gorleston, Oulton Broad, Halesworth, Harleston . . . The Martial Art of Taekwondo is a great family sport, where mums and dads can learn alongside their children. If you would like to come and try, 1st session is FREE! Just turn up in joggers and a t-shirt . . . and bring a drink! NEW MEMBERS ALWAYS VERY WELCOME, ALL AGES, FOR FUN FITNESS AND FIGHTING! 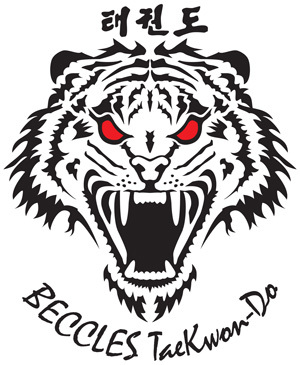 BECCLES Taekwon-do, ICENI Taekwon-do, OLD TIGERS Veteran Taekwon-do copyright © 2019 imajaz LTD. All Rights Reserved. More than a martial art, it's a way of life!